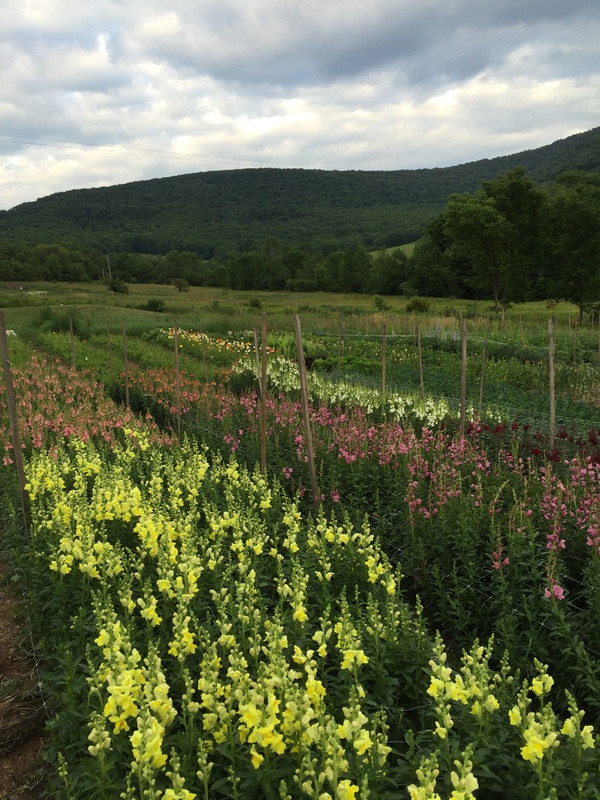 Treadlight Farm, established in 2015, grows specialty cut flowers on one acre in the hills of Delaware County, 6 miles outside of Bovina, NY. We sell our flowers at farmers markets locally and in Westchester County, to wedding clients, and to flower designers and florists. Our crops are grown organically (though we are not certified) in permanent, no-till beds, and are cultivated and harvested by hand from May through October. We are looking for a farm crew member to assist in all aspects of our farm work for the coming season: seeding, planting, weeding, harvesting, packing, greenhouse care, flower arranging, and more. Through your work you’ll learn no-till production practices and the daily workings of a relatively new, rapidly expanding farm operation. This is an ideal position for someone interested in small-scale intensive farming, no-till agriculture, market gardening, and ornamental plant production. – some prior experience in growing vegetables and/or flowers on a farm or large garden scale; if not, candidates should at least have an interest in learning about growing ornamental plants or small scale farming. – can lift fifty pounds and can perform similar, physical tasks throughout the workday. – is responsible and pays close attention to detail. – has their own transportation. This position is 30-40 hours/week, Tuesday–Saturday. Compensation begins at $11/hour. We cannot provide lunch, but there is a general store in Bovina that serves sandwiches and some other foods, or employees may bring their own lunch. While we cannot provide housing but would be willing to help the right applicant find affordable housing options in the area.